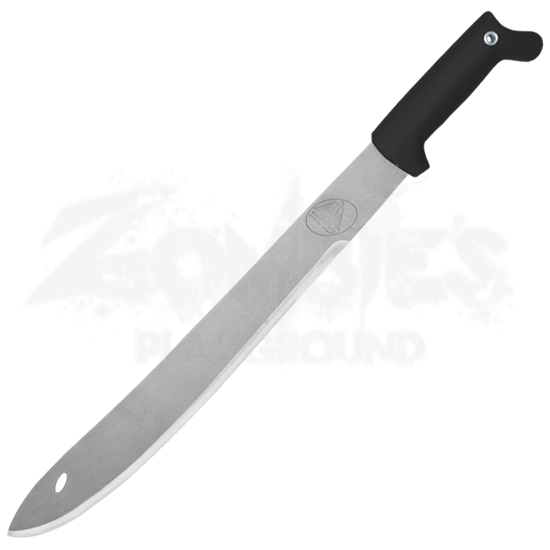 Combining the best of both worlds, the Jungle Saber Machete is patterned after a weaponized machete that features not only a nearly-straight cutting edge that is perfect for cutting and slashing, but also a solid point that is suitable for stabbing. The blade of the machete is mostly straight along both the cutting edge and the back, curving only towards the end to form a functional point. The result is a machete that is designed for heavy cutting and chopping, as well as thrusting and stabbing, like many of the jungle knives that saw use in combat. The blade is made from 420 high carbon stainless steel, while the cutting edge has been hand finished to razor sharpness. 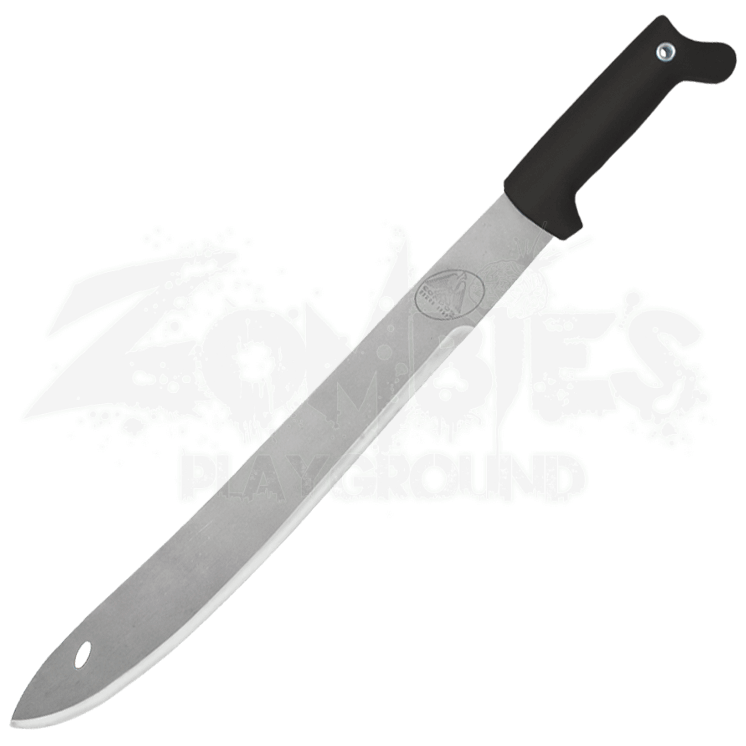 The machete also features a blasted satin finish that gives the blade a simple, rugged appearance that is rather impressive. The high impact polypropylene handle has been molded to the full tang of the machete, providing an immense level of durability, while a metal lanyard eyelet also passes through the tang near the bottom of the handle for added strength. Included with the machete is an adjustable leather sheath that features a swiveling belt loop. The machetes blade measures approximately 17.5 inches long and 1.01 inches thick, while the machetes overall length is 22.5 inches. If you are looking for less of a tool and more of a blade that can be both weapon and tool while you are camping, hiking, or just working in the woods, then you will be thrilled to know that the Jungle Saber Machete is everything you are looking for, including simple, reliable, and useful.